The U.S. National Security Agency reportedly hacked into over 50,000 computer networks around the world as part of its global intelligence gathering efforts, and also taps into large fiber optic cables that transport Internet traffic between continents at 20 different major points. The agency installed specialized malware referred to as "implants" on over 50,000 devices in order to perform Computer Network Exploitation (CNE), Dutch newspaper NRC Handelsblad reported Saturday based on documents it said were leaked by former NSA contractor Edward Snowden. 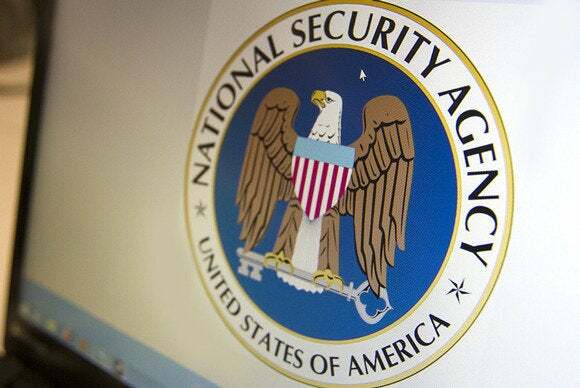 The information is reportedly taken from a 2012 top secret presentation about the NSA's worldwide signals intelligence gathering capabilities that was shared with the intelligence services of Australia, Canada, the U.K. and New Zealand that form the Five Eyes partnership. CNE is one of three types of Computer Network Operations that NSA computer specialists perform. It "includes enabling actions and intelligence collection via computer networks that exploit data gathered from target or enemy information systems or networks," the NSA says on its careers website. According to a presentation slide published by NRC, the NSA deployed over 50,000 CNE "implants" world-wide. The Washington Post reported in August that the attack tools used for these implants are developed by a specialized NSA team called Tailored Access Operations (TAO) and are designed to compromise routers, switches and firewalls to monitor entire networks. The implants persist through software and equipment upgrades and can be used to harvest communications, copy stored data and tunnel into the compromised networks from outside, according to the Washington Post. Their number is expected to reach over 85,000 by the end of 2013. The slide leaked by NRC also reveals that, aside from CNEs, NSA has access to large Internet cables at 20 different locations, most of them outside the U.S.; runs over 80 regional Special Collection Service (SCS) installations that are part of a joint CIA-NSA program used for close surveillance operations and wiretapping; maintains liaison with 30 third-party countries outside of the Five Eyes; and has access to 52 regional facilities dedicated to intercepting foreign satellite communications (FORNSAT).